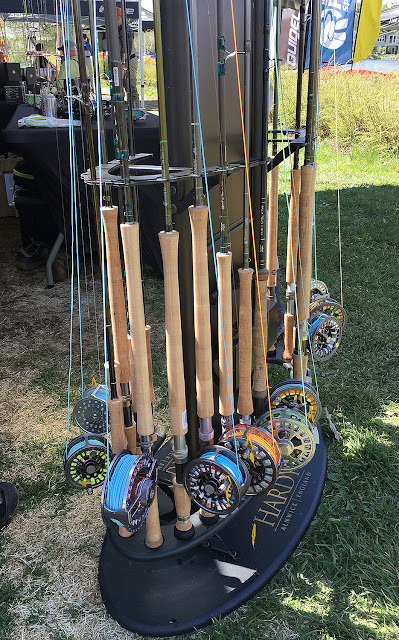 H: Knowing I'll be missing Spey Nation this year, I decided somewhat last minute to head north of the border to see how our neighbors in Quebec put on a spey clave. With atlantic salmon season just around the corner (I can't wait! :), it seemed like a good idea. I almost didn't go. I was recovering from a cold/flu, had a ton of work on my plate, and it was Friday the 13th (yikes!). As I left the city, it started to downpour and traffic became a nightmare as accidents popped up everywhere. I thought it might be a sign for me to turn around, and I might have, if the traffic heading back wasn't just as bad. 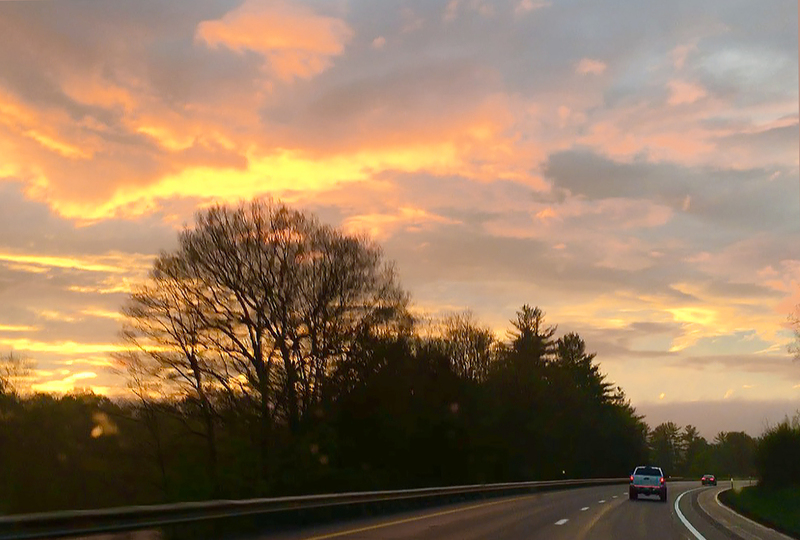 A 6 hour drive turned into 8, but I was rewarded with a spectacular evening sky towards the end. Enjoying a glorious evening sky driving through the green mountain state. Forum Spey Sherbrooke turned out to be an intimate clave. 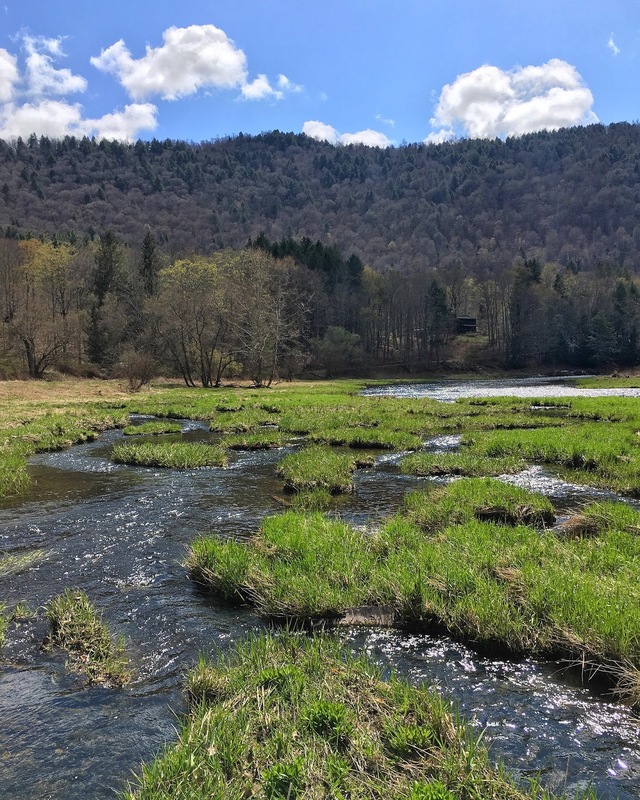 I'm guessing it's what Spey Nation used to be in its infancy. 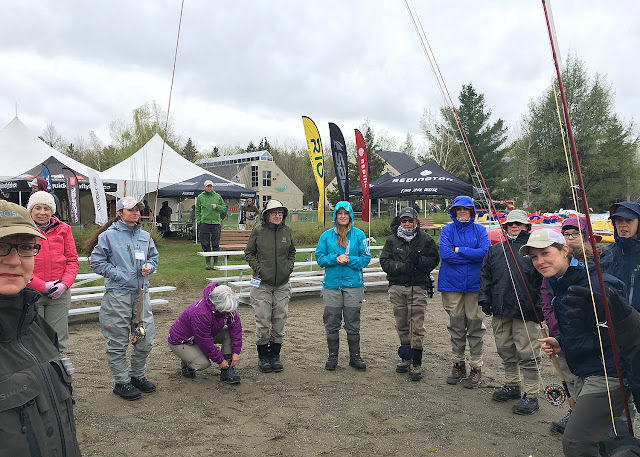 There were reps for: Hardy/Fenwick, Airflo, Guideline, Sage, Rio, GLoomis, Orvis, St. Croix, plus Gaspé Fly, but the selection of equipment was rather limited (except for Hardy, Gaspé Fly, and Guideline) and Loop was surprisingly absent. They also had representatives from the Museé de la Peche a la Mouche and Projet des Eaux Curative. Apparently in past years, the presentations had been bilingual. This year, that wasn't the case. Hence, while I had looked forward to presentations given by fellow salmon spey fishermen, I could barely understand any of it. 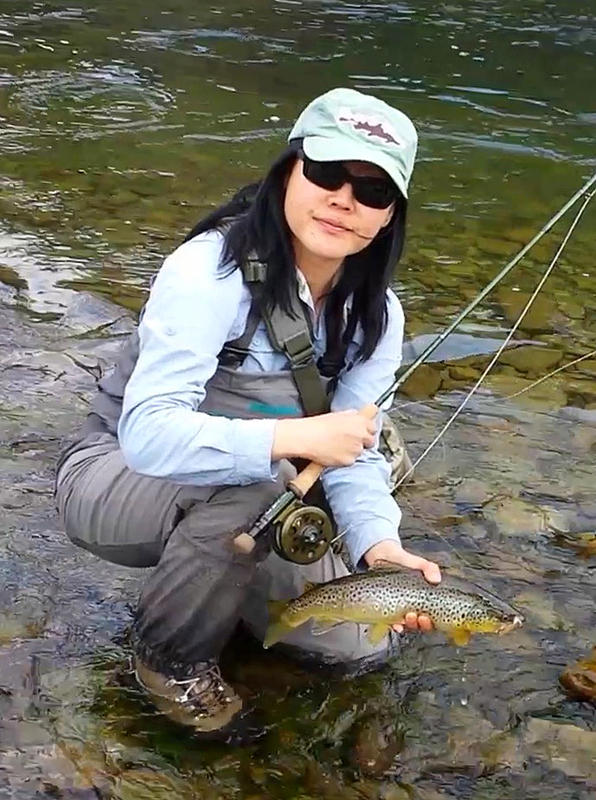 If I'm going to continue fly fishing in Quebec, I really need to work on my French! Je dois travailler mon français (?). 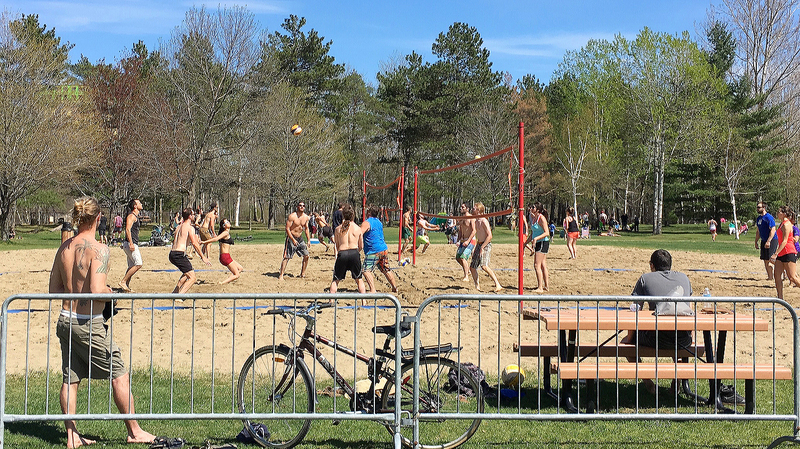 The demo beach at Parc Lucien-Blanchard, Sherbrooke, Quebec. 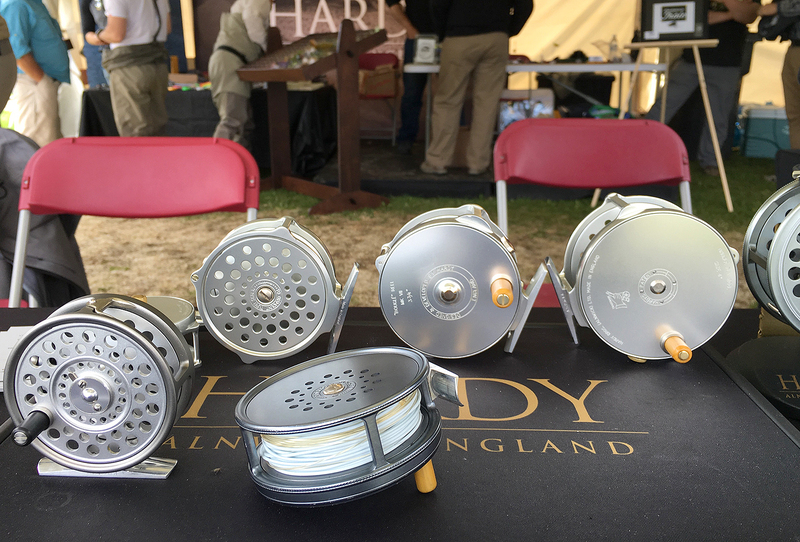 A great selection of Hardy/Fenwick rods. I think I cast ALL of the doublehanders. 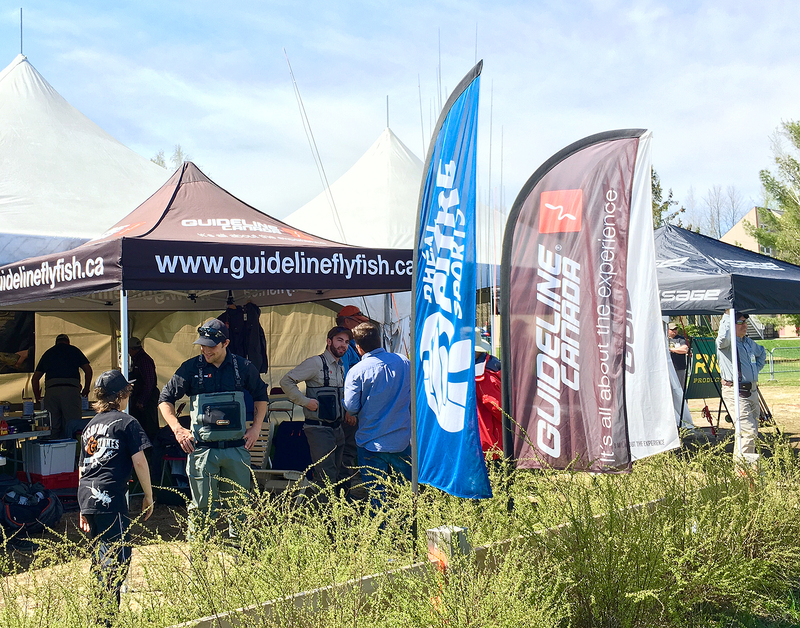 Fellow salmon fly fisherman Mallais Alex at the Guideline Canada booth. Probably the best thing about the clave was the people. Everyone was so friendly! 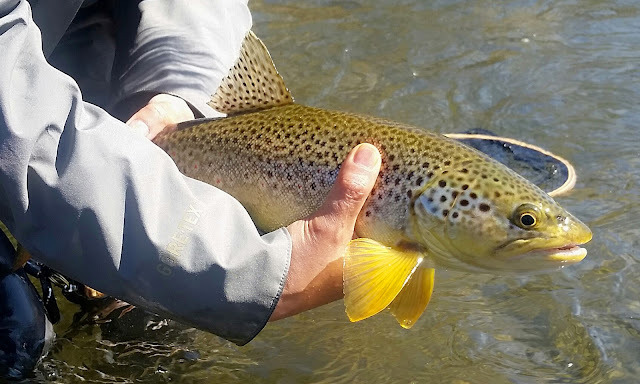 Local fly tyer, Daniel Bolduc, was super nice. 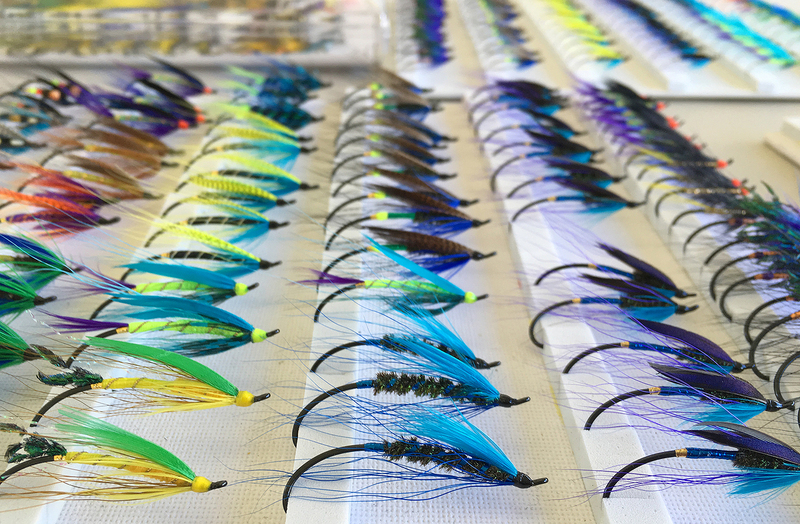 I purchased some of his lovely flies for the Bonnie. I had the pleasure of catching up with Paul Leblanc and Hazel Maltais, Claude Bernard, Mallais Alex, J-P Tessier, Neil Houlding and meeting Brian, David and Dylan Bishop, Pascal, Sabrina and so many others.... Forum Spey Sherbrooke had a definite family vibe to it. 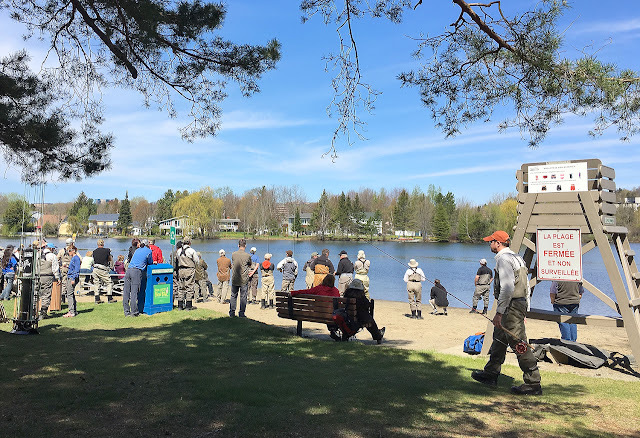 I saw parents casting with their children, many couples casting together, and it was great to see so many women attend this event! Some of Daniel Bolduc's lovely salmon flies. Claude Bernard at the Museé de la Peche a la Mouche table. While talking to Claude, I mentioned that last year, I had done A LOT of fishing, around 190 days. Not exactly sure where I got 190? An estimate shows it was more like 160 days. 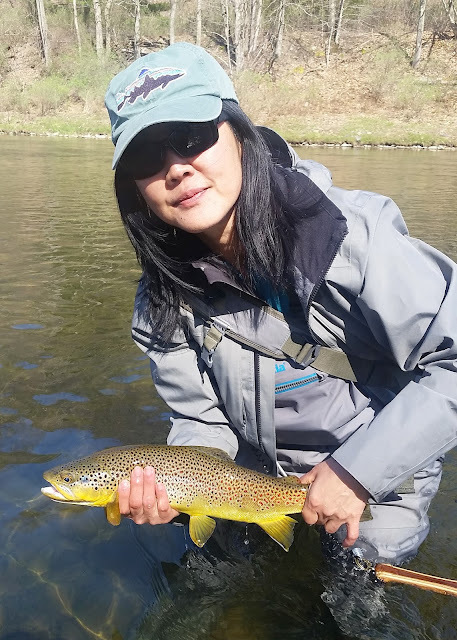 But after that, Claude started introducing me to his fly fishing friends as the girl from New York who fishes 190 days a year. Lol. 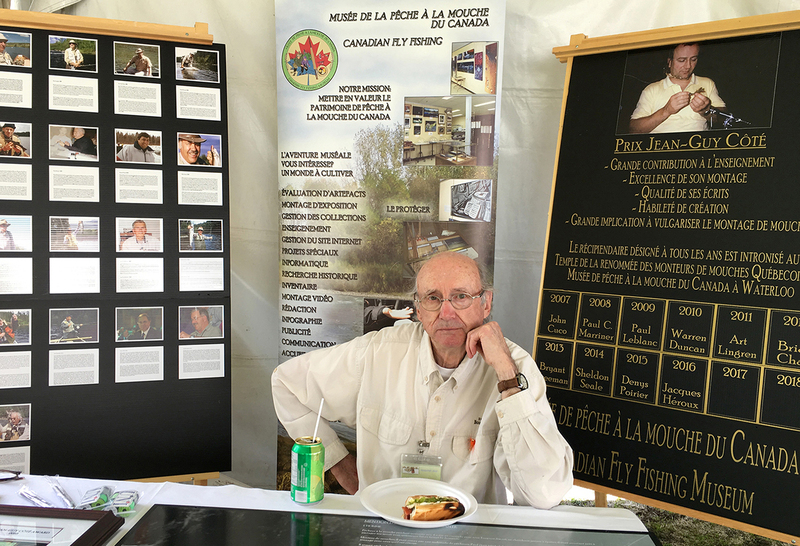 He mentioned he's working on a history of Canadian fly fishing book through the Museé. I bet it would be a fascinating read, full of entertaining anecdotes. I definitely hope to see Claude on the Bonaventure later in June. Needless to say, I cast a bunch of rods :). My favorites were the Hardy Zephrus 13'6" 8-weight and 12'6" 7 weight—both paired with Airflo scandi lines. I also had a chance to cast J-P's Loop 13'2" 8-weight Cross (SX?) paired with the GDC line and really enjoyed casting that as well. 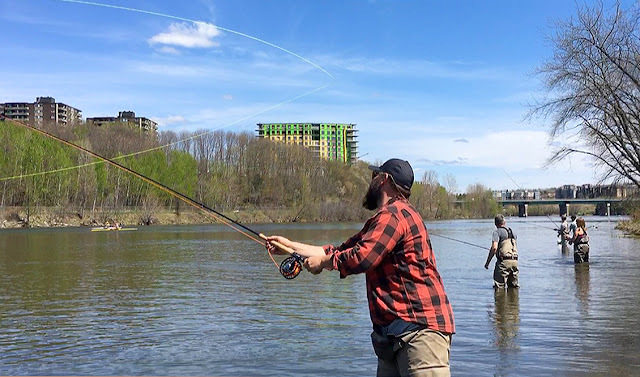 David Bishop, J-P Tessier, and Alain Laprade, all shared some good casting tips with me and I made a concerted effort to work on my casting technique while testing out the different rods. J-P Tessier showing me the very cool S cast—an aerialized snap T.
Sunday: down jacket weather. Sabrina Barnes teaching the ladies class which had a great turnout. The rest of the time I hung out with the fly casting geek squad: Craig, Dave, JF, Alain, and Louis :). An hour+ talking about casting techniques and semantics over a nice dinner. 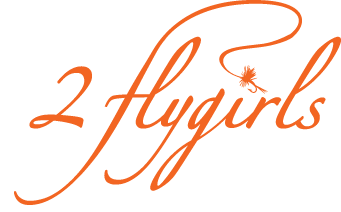 What more can a flygirl ask for? ;) Sustained or waterbourne (anchor)? Qu'est-ce que vous préférez? I hope to be back next year. Next time, I'll definitely bring my trout gear and check out the local fishing.